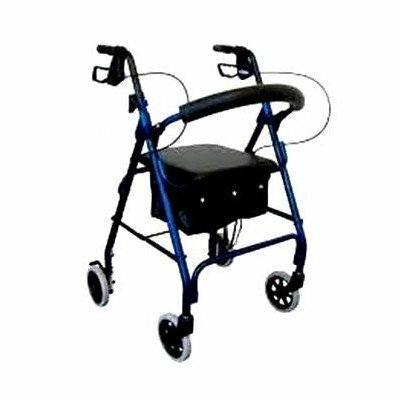 MRT-413-B Color: Blue Features: -Rollator.-Material: Aluminum.-8" Casters.-Fold up backrest.-Folds up easily.-Loop lock brakes.-Adjustable handle height.-Weight capacity: 300 lbs. Dimensions: -Overall dimensions: 37.375" H x 23.25" W x 23.75" D.
If you have any questions about this product by Revolution Mobility, contact us by completing and submitting the form below. If you are looking for a specif part number, please include it with your message.